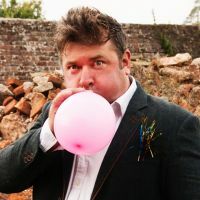 Nick Page is a seemingly indestructible, larger than life, award winning English comic whose life is a series of disasters somehow turning into unlikely triumphs. No gimmicks, no PowerPoint, no props and no flipcharts. Just stories and belly laughs with a master of his art.